The agoraphobic PS3 owner who sued Sony because he was banned from the PlayStation Network has launched two new lawsuits, this time against Microsoft and Nintendo. Erik Estavillo sued Sony after being banned from the PlayStation Network earlier this year for "inappropriate behavior" while playing Resistance: Fall of Man, seeking $55,000 in punitive damages and "pain and suffering." The case was dismissed in October, with Judge Ronald Whyte ruling that PSN couldn't be held to the same First Amendment standards as a state-owned body and thus hadn't actually violated his rights. Nonetheless, Estavillo announced later in the month he had appealed the dismissal and also filed a second civil suit against Sony for $180,000 in damages. Apparently not wanting anyone to feel left out, Estavillo has now filed suits against the other two console manufacturers as well. 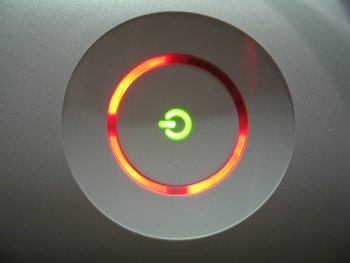 He's seeking $75,000 from Microsoft as a result of his console being hit by the Red Ring of Death; he can't afford to repair or replace the unit because he's disabled, he said, so he's seeking compensation for the "undue stress" he's suffered since the demise of the unit and the "sadness he will have in the meantime of finding one he can afford." His lawsuit against Nintendo, meanwhile, centers around the 4.3 update to the Wii firmware, which disabled the Homebrew Channel. Estavillo used the Homebrew Channel to unlock characters in Mario Kart Wii and the only way to unlock them without it is to purchase Super Mario Galaxy, essentially "forcing customers to buy another game to unlock one character in a different game." Estavillo is seeking $5,000 from Nintendo as well as an injunction against "deleting, blocking or prohibiting the Homebrew Channel and Ocarina applications." Estavillo, who said he also suffers from depression, obsessive-compulsive disorder, panic disorder and Crohn's disease, plans to file similar lawsuits at the state level as well.